There are so many lovely Christmas stories at the moment, heart-warming, funny and silly. So, we've cherry picked them and chosen some of our absolute favourites, to fill you with festive cheer and giggles. We hope that these news stories will warm your winter cockles and get you well and truly in the festive mood. A mother has announced to the world that she's fed up of spending money at Christmas time, and so her two young sons will simply have to lump it with cheap bath bombs and chocolates. 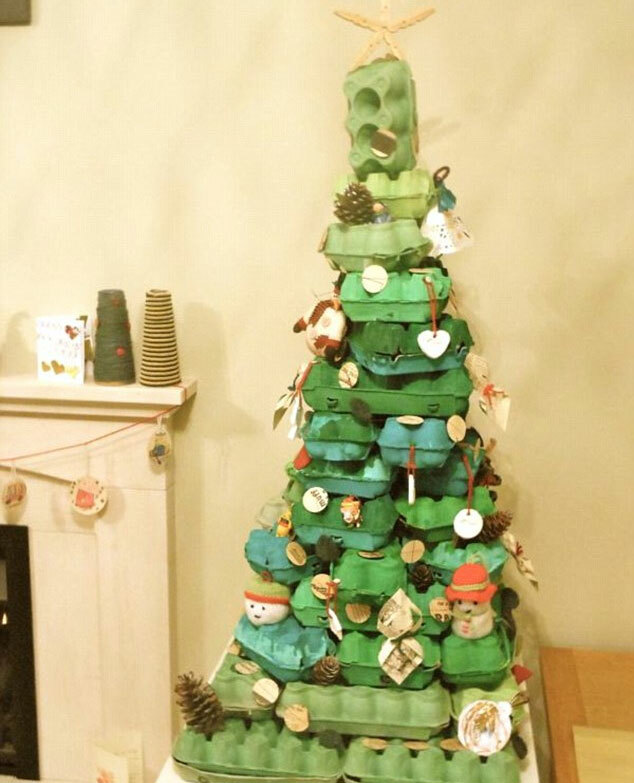 And her centerpiece this year is a Christmas tree made out of cardboard eggs boxes that have been painted green. Very imaginative, but it does look like a pile of egg boxes painted green though. Thanks for sharing your heart-warming story Mrs Scrooge. Frozen supermarket giant Iceland has been sponsoring newspaper articles this week to tell people that they can cook an entire Christmas dinner from frozen ingredients. Not sure about the frozen sprouts though, but the pigs in blankets looked lovely. We have homemade Yorkshire puddings with our Christmas dinner, is that a bit weird? Did you know that Coca Cola is the reason that Santa Claus is red and white, due to an amazingly successful branding campaign many years ago? Apparently Santa used to be green or something like that. 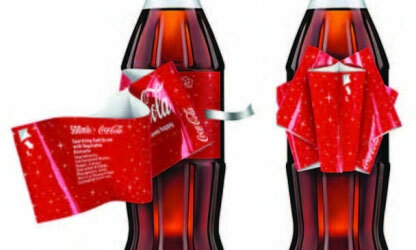 Well, this year Coca Cola have made a special label that turns into an actual bow decoration, by pulling the middle ribbon section gently. Awesome job there Coca Cola. Beat that Pepsi. 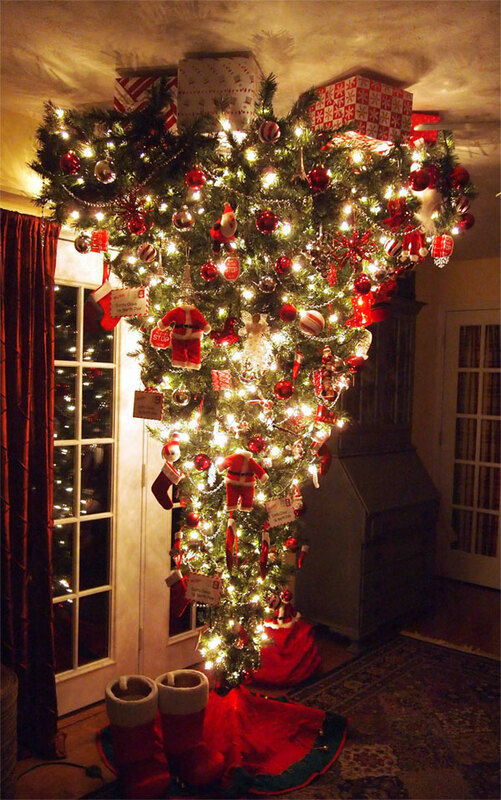 If you've got young children and are fed up with them taking baubles and decorations off your Christmas tree, or you've got cats in the house, then a number of DIY enthusiasts seem to have the solution - hang the tree upside-down from the ceiling. Well, it certainly looks unusual, but it is not really very traditional though. We much prefer trees up the right way. Weather boffins reckon that this Christmas will be the warmest ever, since records began, with no sign of any snow as temperatures approach 15C. Although, as with typical British weather in the winter, we should expect plenty of rain to keep us nice and wet, and also lots of sand blowing over from the Sahara Desert on Christmas Day.